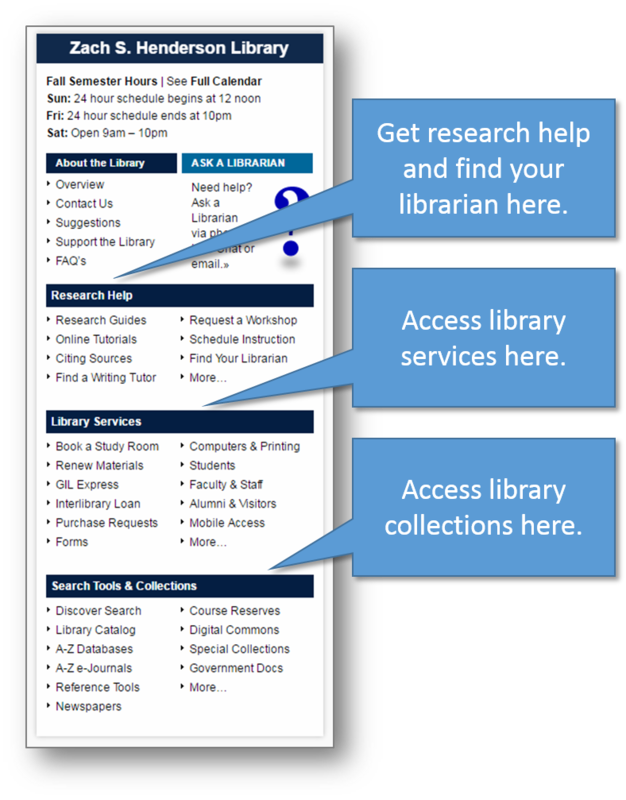 Home > Hours and Special Alerts > Check Out the Library’s New Homepage! Check Out the Library’s New Homepage! Recently, the library has made a number of revisions to our homepage. These revisions make navigating the library’s resources and collections easier and more reliable. 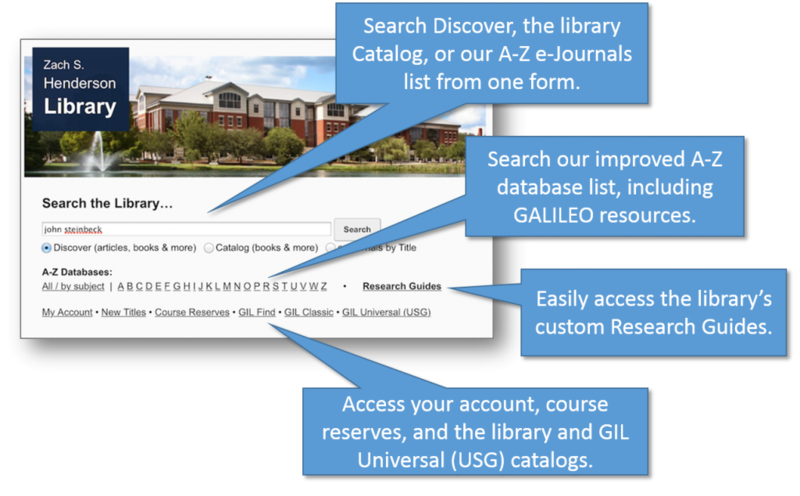 At first glance, you may be wondering where the GALILEO databases have gone! Not to worry, they remain available through our improved A-Z Database list, including a direct link to GALILEO Scholar located under the letter “G”.